Work your way up to a full marathon by competing in these three races. Complete all three to earn a huge medal. Tour des Atakapas is the official run of Festivals Acadiens et Créoles. With run distances of 3, 5, or 7 miles or a run-paddle-run duathlon with distances of 1.5-2-1.5 miles and an entire cajun and zydeco music festival as an after party, the Tour des Atakapas is the perfect race to start out the Courir. 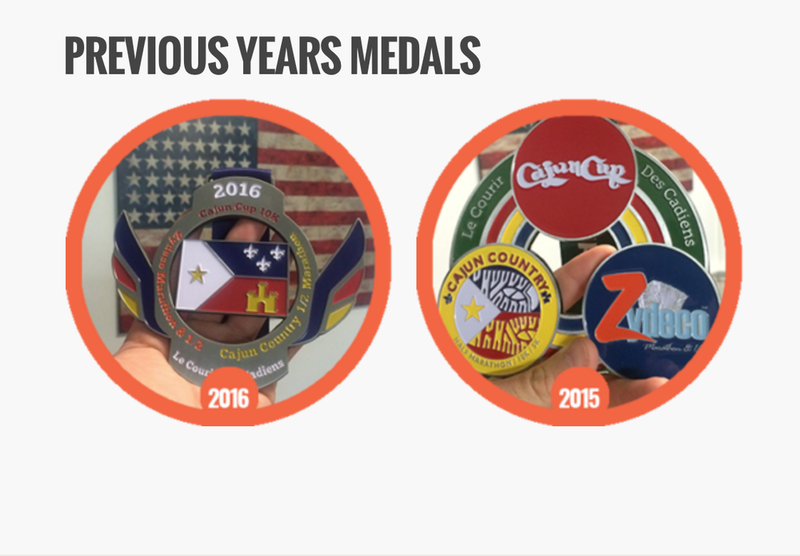 The Cajun Country Run is Acadiana's oldest half marathon. Now the race has five options to run. Try the 5k or 10k runs, both with road or trail options, or go for glory with the all-road half marathon. This scenic race out of Acadiana Park in Lafayette has one of the most unique race trophies ever: an alligator head mounted on a cypress board! This year's course will be USATF certified. This event will feature a half marathon of 13.1 miles and a marathon of 26.2 miles. Both courses are certified by USATF, and are qualifiers for the Boston Marathon.